Brandon Wayne Brewer (1987) failed to appear Jan. 5 in LaRue Circuit Court. He faces a charge of flagrant nonsupport. His name was listed with the National Crime Information Center. Melvin McCandless (1958) failed to appear Jan. 5 in LaRue Circuit Court. He is charged with leaving the scene of an accident/failure to render aid; failure of non-owner operator to maintain required insurance; and failure to report traffic accident. His name was listed with the National Crime Information Center. The cold weather has been causing problems at the City’s sewer plant. 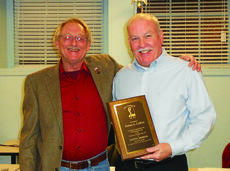 Hodgenville Mayor Kenny DeVore informed city council members at the Jan. 12 meeting that a grinder shaft “that chops up toilet paper and other waste materials” had broken due to the freezing conditions. “It was the whole shaft this time, not just a pin,” he said. Workers will attempt to remove the mechanism and take it to a machine shop for repairs. If it cannot be welded, it will have to be replaced. 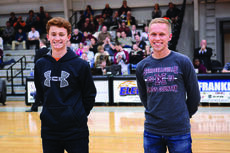 Adam Sandidge and Joey Hartlage both competed in the NAIA Cross Country Championships Jan. 10 at the University of Kansas’ Rim Rock Farm. Sandidge, a freshman from LaRue County, finished 213th and Hartlage, a junior from Louisville, was 256th among the 320 runners. Sandidge’s time was 27:24.00 in the 8K, while Hartlage ran a 28:01.90. Both qualified for the national event based on their performance at the Mid-South Conference race Nov. 8. 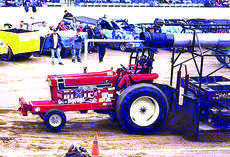 For the Highbaughs, tractor pulling isn’t just a hobby. It’s a lifestyle. David Highbaugh was runner-up at the Kentucky Invitational Truck and Tractor Pull on Jan. 2. Although runner-up is a prestigious placement, the veteran puller had won the pull in 2013 and 2014. David and his father, Lanny, are both from LaRue County and have been pulling competitively since 2004. For Lanny, this is his second go-round in the scene, as he also competed in the 1970s pulling four-wheel-drive trucks. Shayne, Caleb and Michelle Hoffie announce the birth of their sister, Lauryn Anna Hoffie. Lauryn Anna was born at 1:43 a.m. on Nov. 8, 2014. 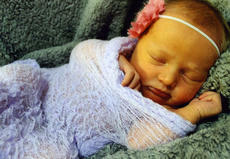 She weighed 7 pounds 4 ounces and was 19-inches long at Hardin Memorial Hospital. Proud parents are Jerome and Carla Hoffie. Maternal grandparents are Joe and Glenda Dohn. Paternal grandparents are Bob and Patty Hoffie. Maternal great-grandparents are Dixie Pearman and the late John “J.T.” Pearman, and Fred and Nan Dohn. 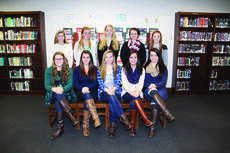 In December, 561 students completed their studies and were graduated from University of the Cumberlands. Among them were Chase Cruse and Jennie Patterson, both of Upton. Maddie Royalty, a sophomore at LaRue County High School, is volunteering at The LaRue County Herald News. 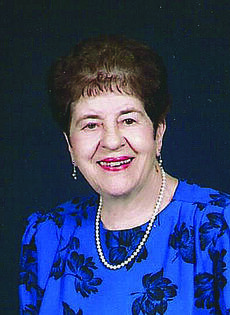 You may hear her friendly voice on the phone in upcoming weeks as she updates information in our annual Discover LaRue County section. Maddie “already has an idea” of where she would like to go after high school.